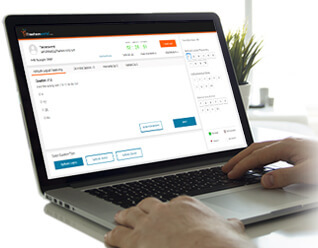 Magneq software. () is a Global Staffing and IT services company. At magneq software we truly believe and practice in our core values and entrepreneurial work culture - attributes which make us unique in our industry. Since the start, MAGNEQ SOFTWARE has achieved a very strong growth trajectory. For the last 4 years, MAGNEQ SOFTWARE has been ranked as one of the Top 25 Fasting Growing Staffing Companies in the U.S. Our success comes from every one of our employees. MAGNEQ SOFTWARE recruiting IT Software Engineer candidates nearby Guntur, Hyderabad, Visakhapatnam, Bangalore.MAGNEQ SOFTWARE vacancies for IT Software Engineer is recruited through Written-test, Face to Face Interview etc. MAGNEQ SOFTWARE Company recruits a lot of candidates every year based on the skills . The candidates with BE/B.Tech are selected to full fill the vacancies in IT Software-Engineer job field. The candidates nearby Guntur, Hyderabad, Visakhapatnam, Bangalore can apply for IT Software Engineer position in MAGNEQ SOFTWARE. All candidates should have a degree or post-graduation in the required field based on the requirement mentioned. The jobs are available in Full Time basis. When it comes to the MAGNEQ SOFTWARE recruitment, candidates are mostly chosen for the department of IT Software-Engineer . To learn more about the current jobs and other details, it is better to go through official site of MAGNEQ SOFTWARE and Freshersworld. Find the latest jobs near you and near your home. So, that you don’t need to relocate. The Freshersworld is a leading employment portal that researches the official site of MAGNEQ SOFTWARE and provides all the details about the current vacancies, the application process, selection process, interview test details, important dates and other information. Search and apply for the top job positions in MAGNEQ SOFTWARE and near your city and get a secured career.